obligation through Government Hajj Scheme. 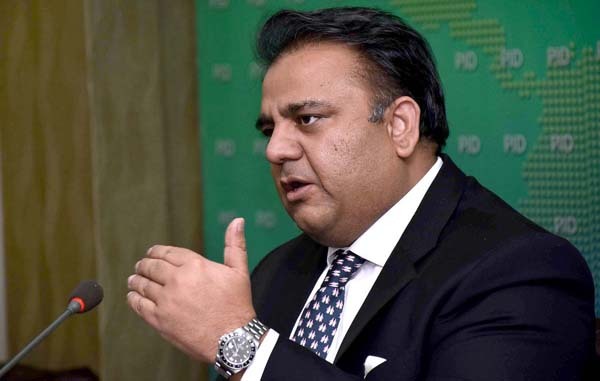 Briefing media the decisions of Federal Cabinet, Minister for Information and Broadcasting Chaudhry Fawad Hussain Thursday said that this year the Hajj package would cost Rs 4,36,575 for Northern and Rs 4,26,575 for Southern regions. For the first time in history intending pilgrims of Balochistan would be airlifted directly from Quetta, he said adding that a temporary Haji camp was being established at Gilgit to facilitate the intending pilgrims of Gilgit-Baltistan. He said that 184,210 Pakistanis would perform the sacred religious obligation this year. national flag carrier Pakistan International Airlines (PIA) would start from Quetta and Faisalabad. countries, and an additional provision of e-visas to citizens of 175 countries. after coordination of Information Ministry with Interior Ministry. He said that Finance Minister Asad Umar briefed the cabinet over the status of national economy. during the tenure of previous two governments in past ten years. non-tax resources, 6 rupees go to provinces. region would benefit from peace in Afghanistan, he said. office should be devolved to ministries, he added. of ACR ,concept of superior services, he said would be changed in phases. owing to his death while names of other 32 were sent to review committee. National Investment Trust Limited (NITL). could directly monitor its implementation status. approved by the cabinet, he said. of Prime Minister’s Youth training Programme. Regulatory Authority (PMRA) was to ensure protection of fraternity.